Priory Country Park - a place to unwind at Bedford Country ParkThe Park covers over 300 acres including two large lakes, flower grassland and wooded areas. There are three different trails to explore, with riverside views over water and meadows. The landscape is maintained for the benefit of both wildlife and people and the Park is always open. The Park covers over 300 acres including two large lakes, flower grassland and wooded areas. 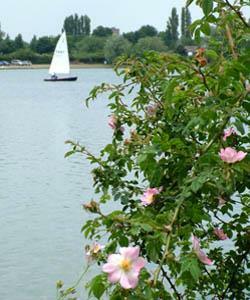 There are three different trails to explore, with riverside views over water and meadows. The landscape is maintained for the benefit of both wildlife and people and the Park is always open. How to get there by car/parking: Priory Country Park is signposted from the A5140 to the east of Bedford town centre and has free parking spaces available in the Priory Country Park Car Park.